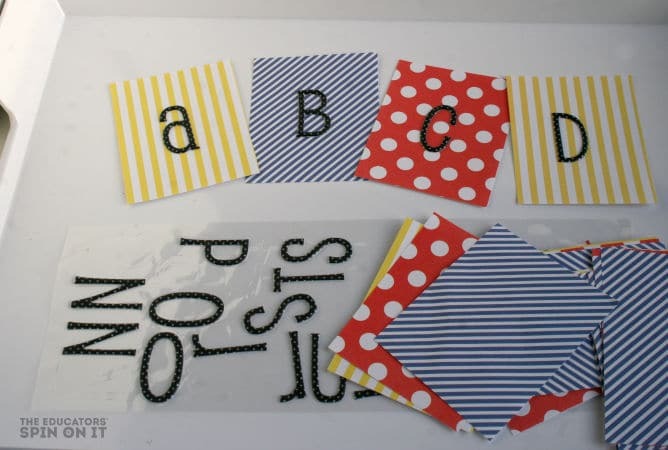 Looking for a way to teach letters to your preschooler? 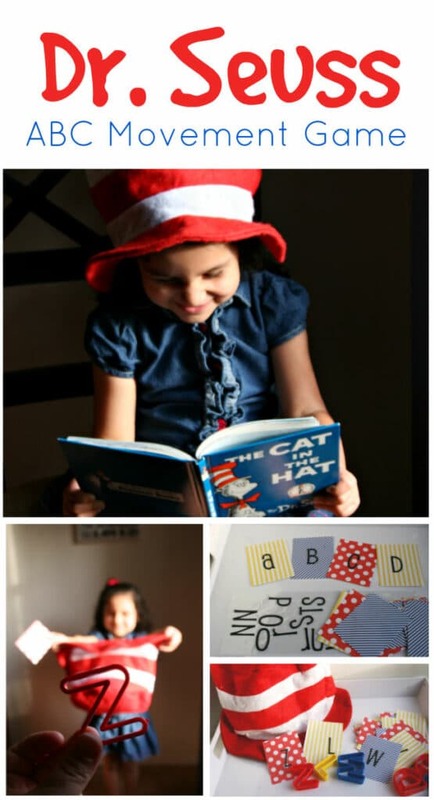 Here’s a playful way to celebrate Dr. Seuss using letter fun with the Cat in the Hat book. All you need is the iconic red and white hat and some plastic letters. Here’s how to play this Dr. Seuss game! Looking for ideas for the Book The Cat in the Hat by Dr. Seuss? 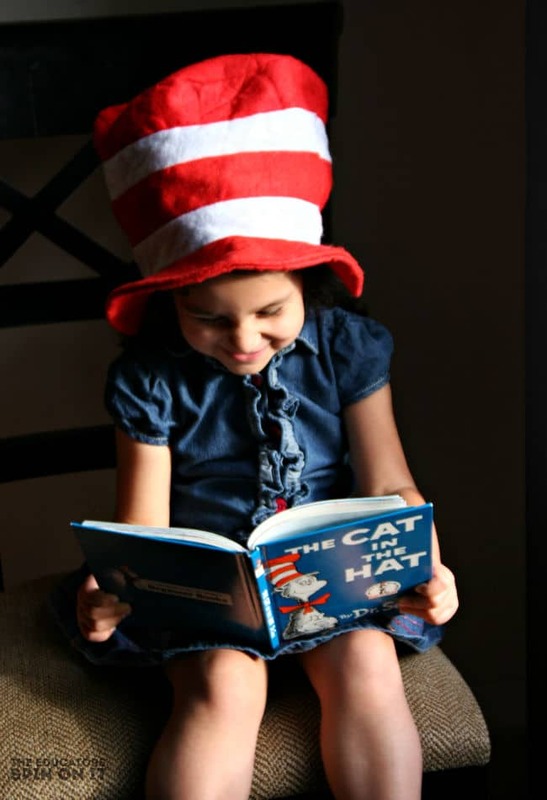 The Cat in the Hat is a favored book of children. The red and white hat shouts playful and captivates their attention for even the littlest listeners. This month we’re featuring activities focused on books by Dr. Seuss for our Virtual Book Club for Kids. Come join us! Do you remember the Cat in the Hat from your childhood? With a popular TV series on PBS he’s quite popular with this generations kids too! I decided to take advantage of this fascination with this special cat to encourage my preschooler to really focus on her letters and letter sounds with this game. Here’s what you need to get started! Combining a little bit of silliness and movement this game is sure to be a hit with your preschooler too. 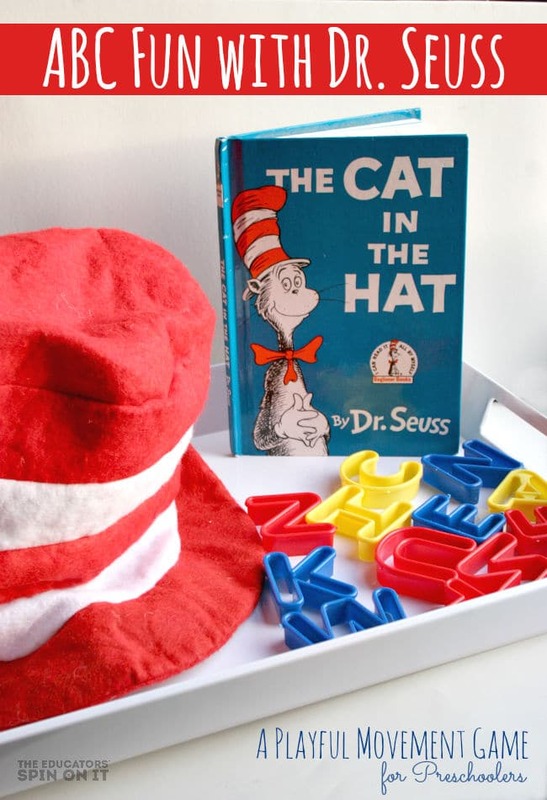 The letter game uses that iconic red and white hat that we love with Dr. Seuss and creates a fun way to focus on letters and the letter sounds. Are you ready? 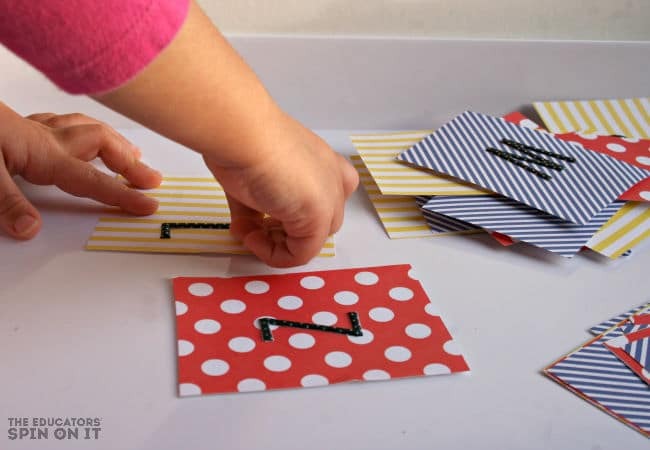 Have your child put the letters on each card to create the game. PLAY TIME! This is a two player game, so grab a friend! Have one player hold the hat to catch the letters. That player pulls a letter card and displays it for the other player. Then the second player selects from all of the letters in front of them. We kept our letters on a tray to sort through quickly but a basket or box would work too. Once the player finds the letter they try to throw it into the hat! 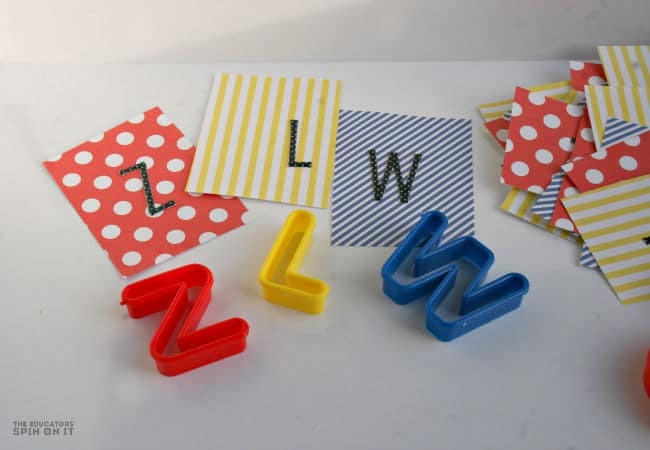 As your child throws the letter have them call out the name and letter sound! No childhood bookshelf is complete without a Dr. Seuss book! 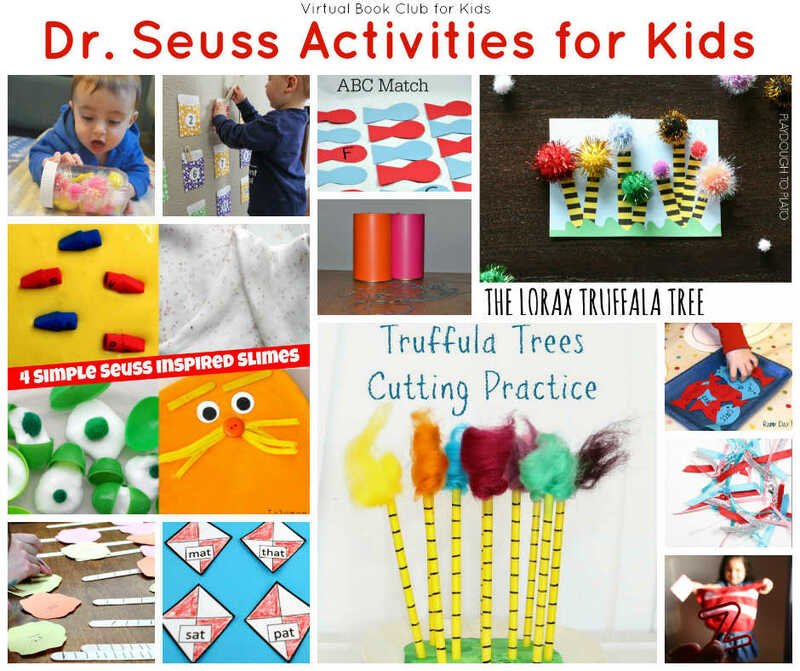 Here are some Dr. Seuss activities created by the Virtual Book Club Team of Bloggers! 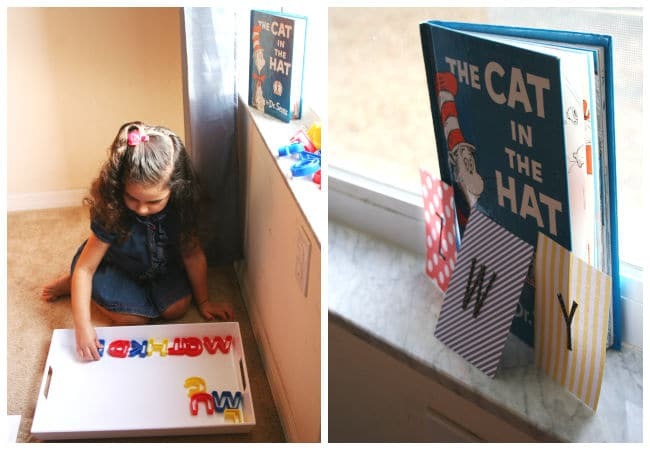 Another add-on activity to this would be to open up to a page of the Cat In The Hat book and search with your child for a specific letter! Can you find an /a/, for example in the text. 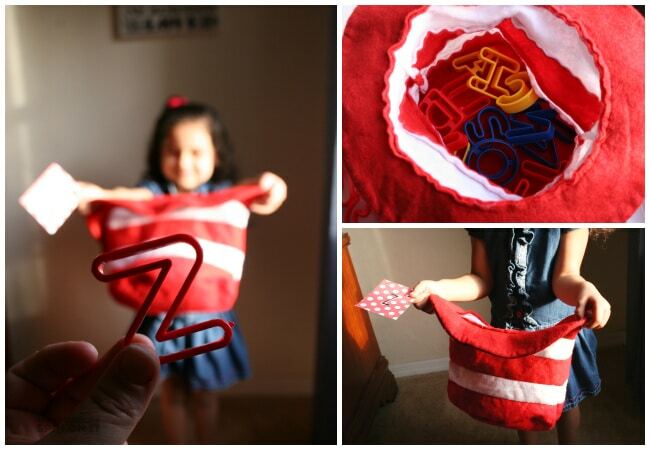 You can model how to find a letter and then guide and support your child in locating a specific letter too!